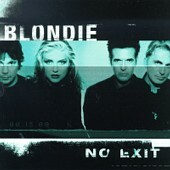 release since 1982, “No Exit” (which hit stores in February ’99). brings us back to Blondie’s earlier days. into the 1999 landscape. Nonetheless, this CD is extremely attractive to the consumer of quality music. 4 ROCKS. avgolemono soup, lemon soup, chicken and lemon soup, chicken,lemon and egg soup.